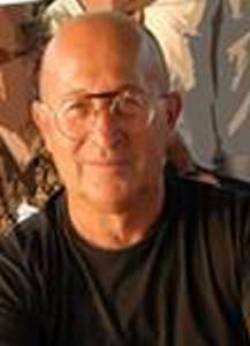 Lorenzo Magnani (born 1952), is an Italian philosopher who teaches logic and epistemology in the Department of Philosophy at the University of Pavia, where he directs the Computational Philosophy Laboratory. He is a visiting professor at the Sun Yat-sen University in China. Magnani's primary research interests are the philosophy of science, logic, and artificial intelligence. His historical research has centered on 19th and 20th century geometry and the philosophy of geometry. Currently he is studying the processes of conceptual innovation and change in science. A major objective of his research is to create a working synthesis between epistemological and historical perspectives and investigations of representations and reasoning in the cognitive sciences. His previous positions have included visiting researcher (Carnegie Mellon University, 1992; McGill University, 1992–93; University of Waterloo, 1993; and the Georgia Institute of Technology, 1995 and 1998–99) and visiting professor (visiting professor of Philosophy of Science and Theories of Ethics at Georgia Institute of Technology, 1999–2003; Weissman Distinguished Visiting Professor at Baruch College, City University of New York, 2003). He has directed and directs many international academic programs in collaboration with USA and China. MBR 06: Model-Based Reasoning in Science and Medicine, with P. Li, in China.